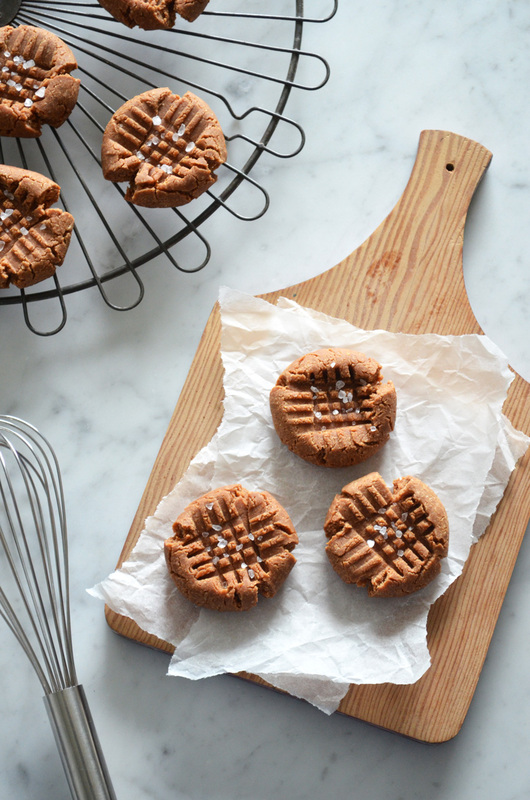 These cookies are actually a slightly adjusted version of my Salted Peanut Butter Cookies. Both versions are vegan, gluten free and utterly delicious, but the main difference is that I’m using peanut butter powder here instead of actual peanut butter. As a result, these cookies are higher in protein, lower in fat and lower in calories. 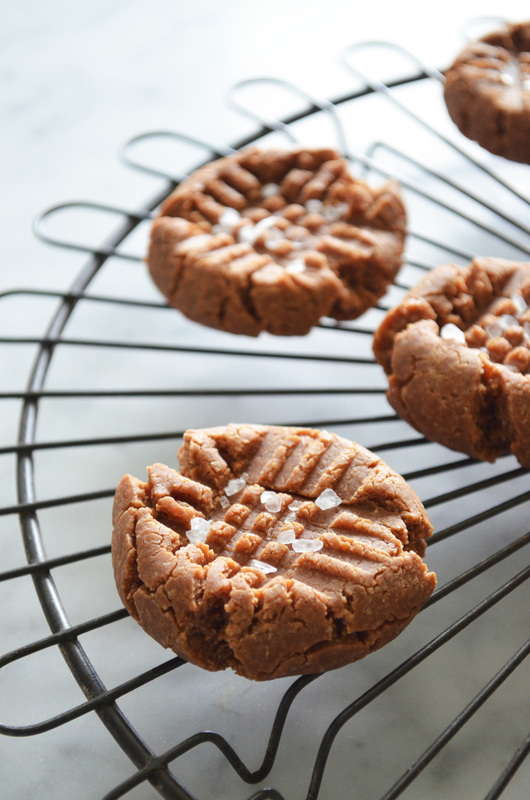 These cookies have a really nice, melt-in-your-mouth feel to them, and since I based the recipe off of the well known American peanut butter cookies, these have more of a chewy texture rather than a crunchy one. 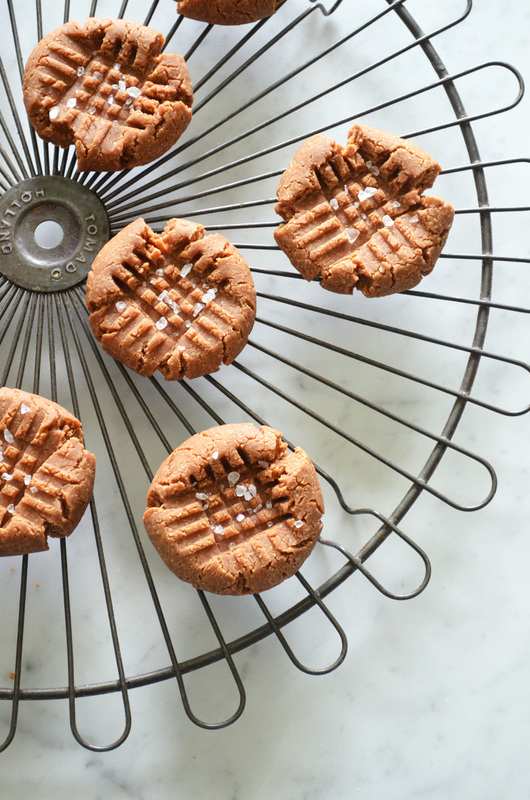 But, if you’re not into chewy cookies (what’s wrong with you?! lol), you can also just shape the dough into bliss balls, because it is already super delicious before baking it. A few weeks ago I received a cute little package from Ekoplaza with some goodies, among which was the date syrup that I used in this recipe. Curious about what else I received from them? Add me on Snapchat! My username is emma.2995. 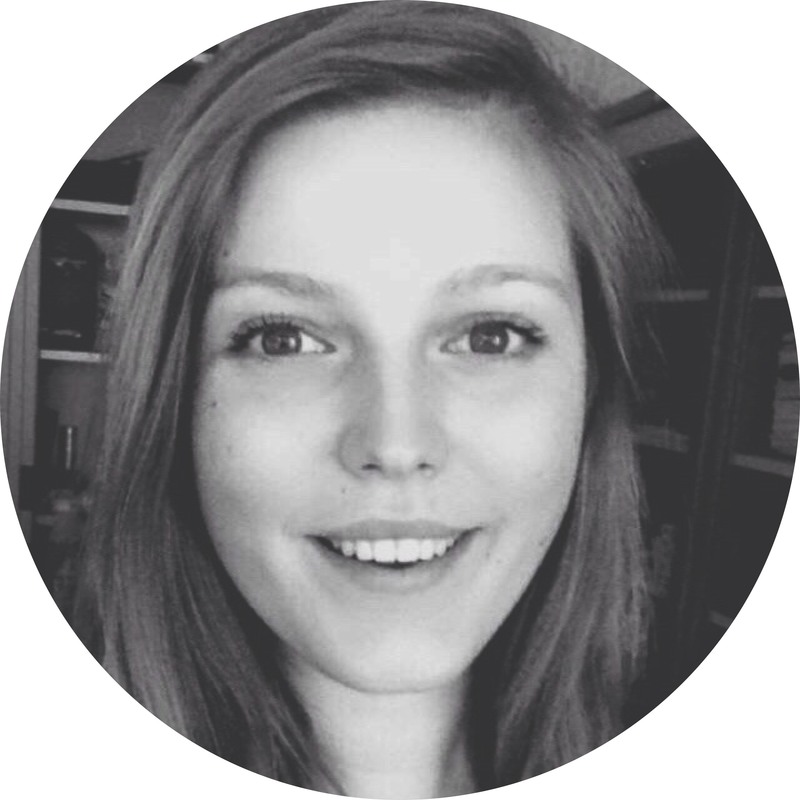 Also, just to let you guys know, I’m super busy with my internship at the KNMI and writing my thesis at the moment, which is the reason why it is a little quiet here on the blog, on Instagram and on Facebook. However, I’ll be done with that all mid-August, so get ready for a ton of recipes and updates. How is your summer treating you so far? Make oat flour by blending up your oats in a blender or food processor. It is very important to sift it after, because blending your own flour does not always give the finest grain. You can blend and sift the leftovers again, until you have 120 gram oat flour. In a big bowl, mix the oat flour with the baking powder, cinnamon and salt. Slice the vanilla bean open lengthwise and scrape out the seeds. Transfer them to a second bowl and use the pod itself for e.g. infusing almond milk. Also add the date syrup, coconut oil, peanut butter powder and water to this second bowl and mix well until the mixture has no lumps of peanut butter powder anymore and is smooth. Mix the peanut butter mixture with the dry ingredients until a thick dough forms. Take an ice cream scoop and scoop out 8 even portions of the dough onto a baking tray lined with parchment paper. Flatten them with a fork. They don’t really spread out during the baking process, so you can put them pretty close together. Sprinkle with some coarse or flaked sea salt and bake them for 10 mins in your preheated oven. 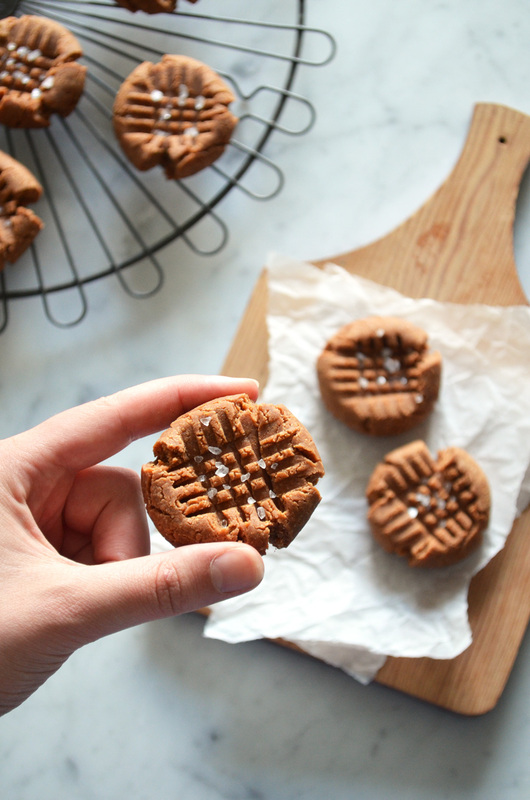 Welke peanutbutter powder gebruik je hier voor, van de B&F? Yes, die van body en fit inderdaad! !